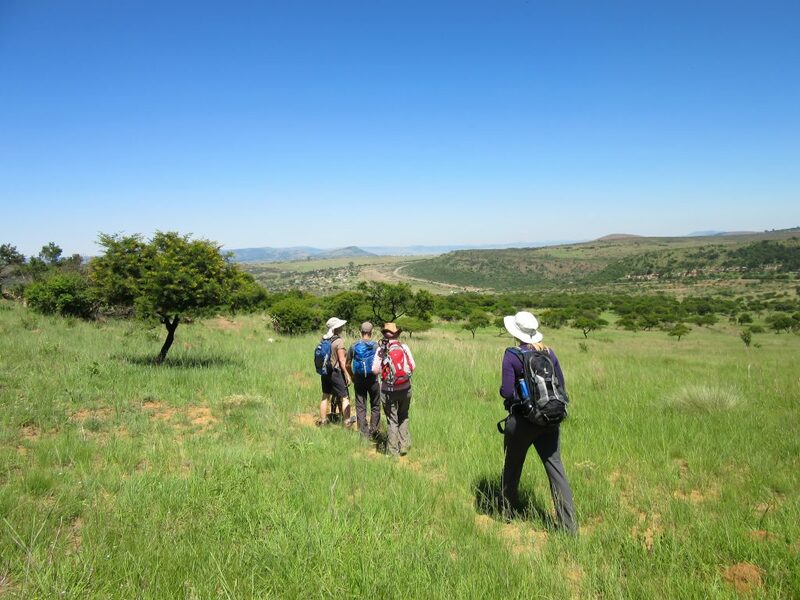 This 14 day small group (12 people max), accommodated safari walking South Africa tour will take you to some of the highlights of South Africa. 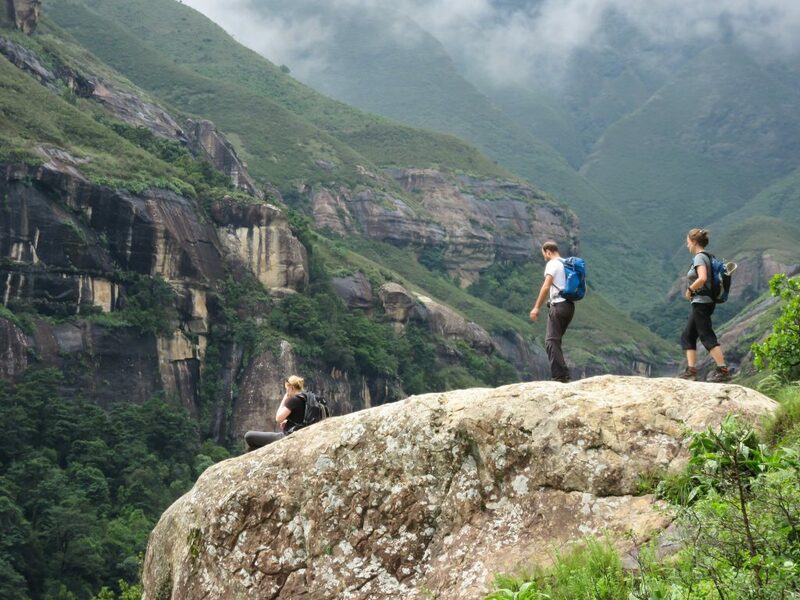 Explore the big game of the Kruger National Park, and enjoy hiking in beautuful Swaziland, before heading into the Zulu Kingdom. 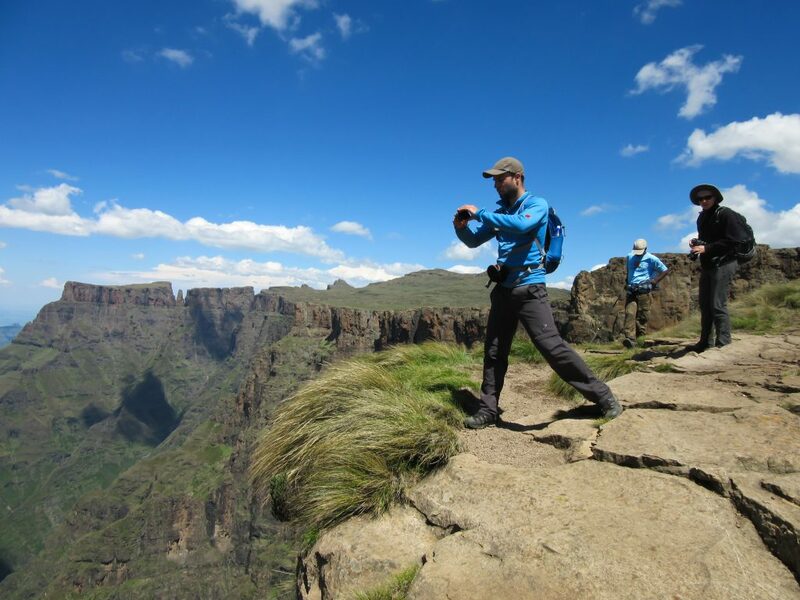 We visit the wetlands, wildlife and beaches of stunning KwaZulu-Natal, and then climb the magnificent mountains of the Drakensberg. We are up early the next morning for our first long walk at the Blyde River. We walk from the rim of the escarpment down into the canyon with views over the Three Sisters and the river below, before making our way back up the escarpment. 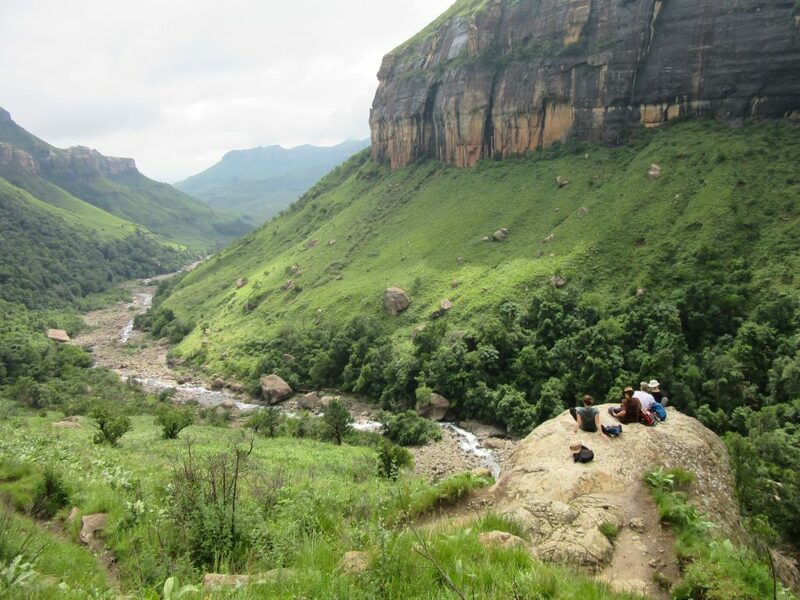 We spend the afternoon exploring the forests and waterfalls which make Mpumalanga a beautiful destination. 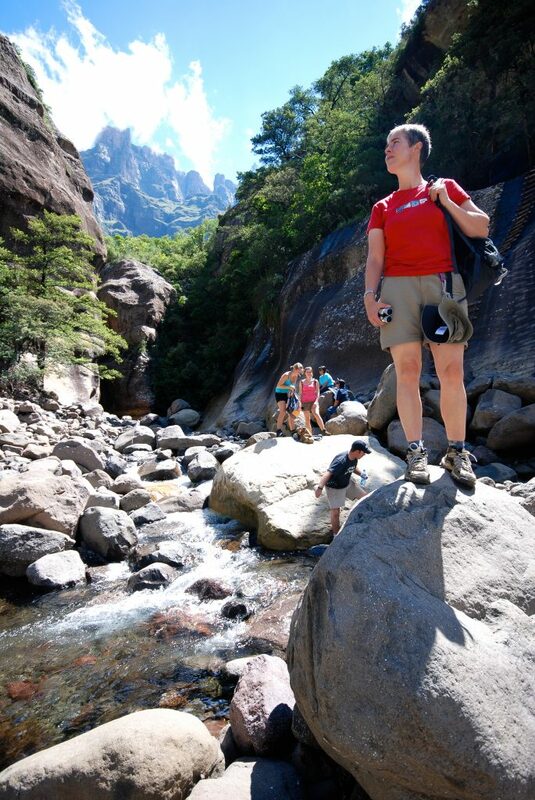 An exciting optional activity is the Graskop Gorge Lift, which lowers you down for a walk through the lush Afromontane forest below (own expense). Crossing into South Africa we head towards our lodge on a private game reserve, situated on the Ukuwela Conservancy. 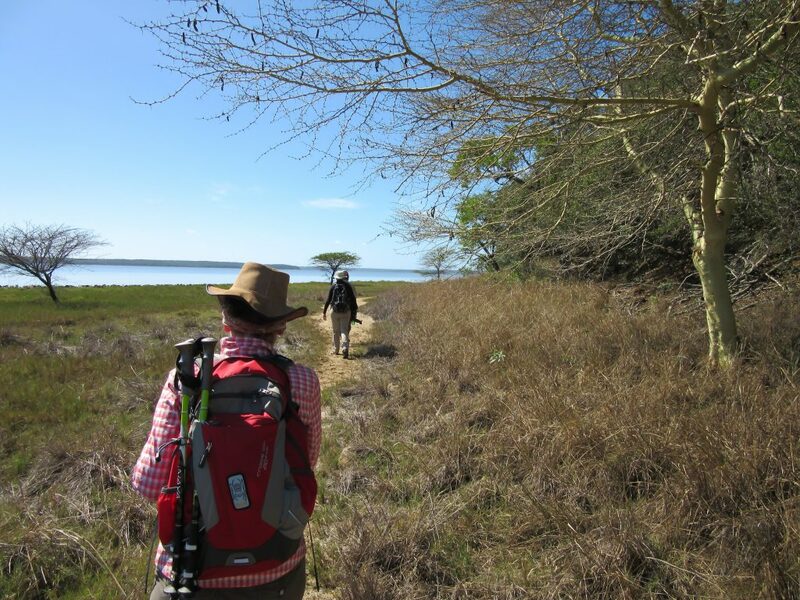 We take a walk with our local walking guide who will point out some of the 540+ bird species found in the area and track the shy Nyala antelope in the riverine vegetation of the Msinene River. 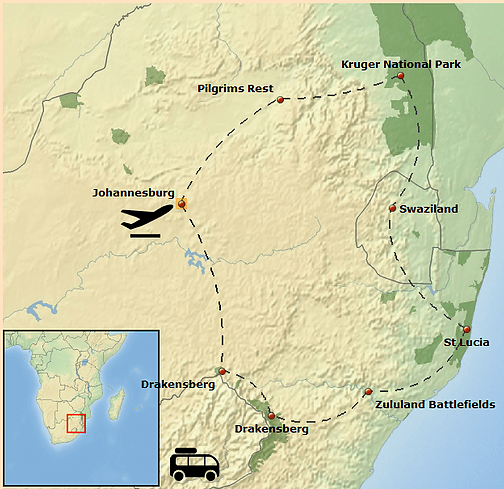 The following morning, we visit Hluhluwe Game Reserve, a key area for rhino conservation and visit a Zulu village to learn more about their culture. Enjoy sunset and the sounds of the bush before a hearty dinner at the lodge. 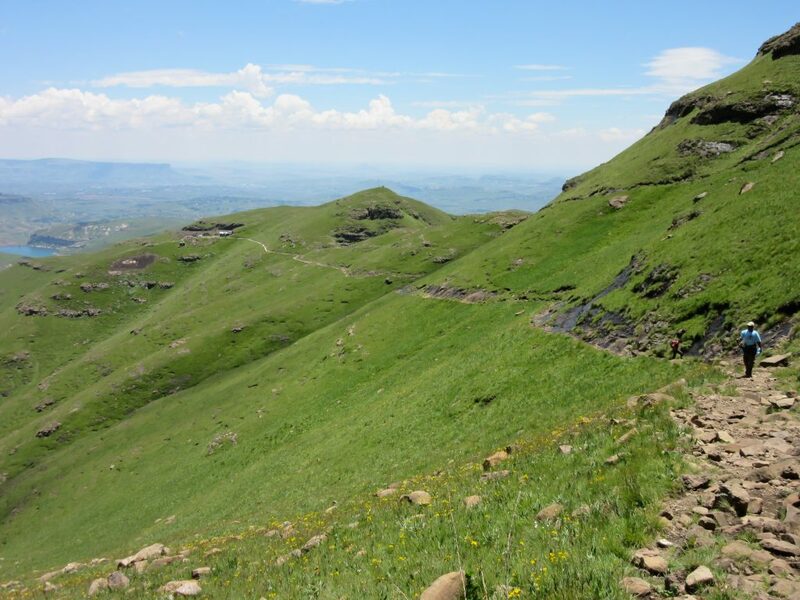 We leave the coastline and make our way through the scenic hills and valleys of Zululand to the small town of Dundee. 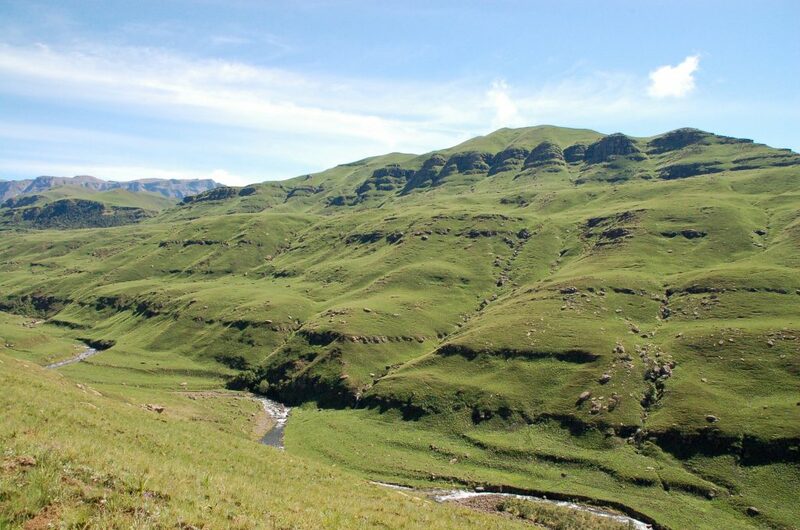 Here battles were fought between the Zulus, British and the Boer troops – war cries still resound in the hills. We spend time at the informative Tulana museum before we settle into our lodge and have some free time in the afternoon. 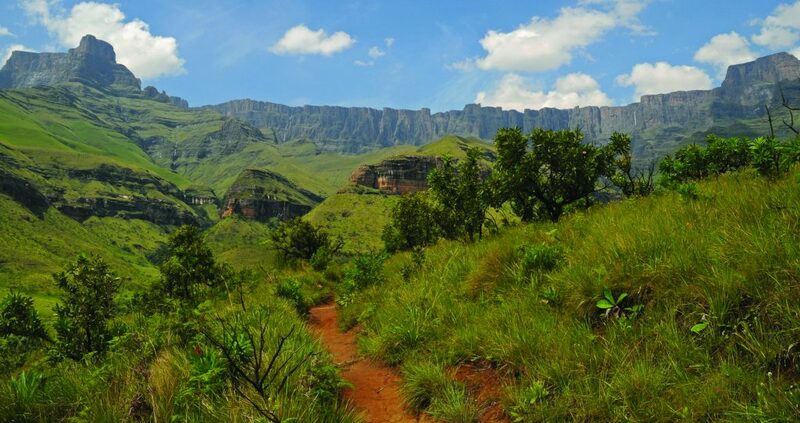 The following morning we explore the Islandlwana battlefield before we embark on an exciting 4-5hour hike tracing the steps of the two British fugitives through the undulating hills of Zululand to the Buffalo River. Later in the day we visit Rourkes Drift before returning to the lodge. A leisurely start to the day, with the chance to spot the endangered bearded vulture soaring overhead, before we make our way back to Johannesburg. Tour ends at about 17:00.